"God’s purpose is 'to bring to pass the immortality and eternal life of man' (Moses 1:39). That is fundamental to all we do. Sometimes we get so wrapped up in things that we find fascinating or become so consumed by mundane responsibilities that we lose sight of God’s objectives. As you consistently focus your life on the most basic principles, you will gain an understanding of what you are to do, and you will produce more fruit for the Lord and more happiness for yourself. 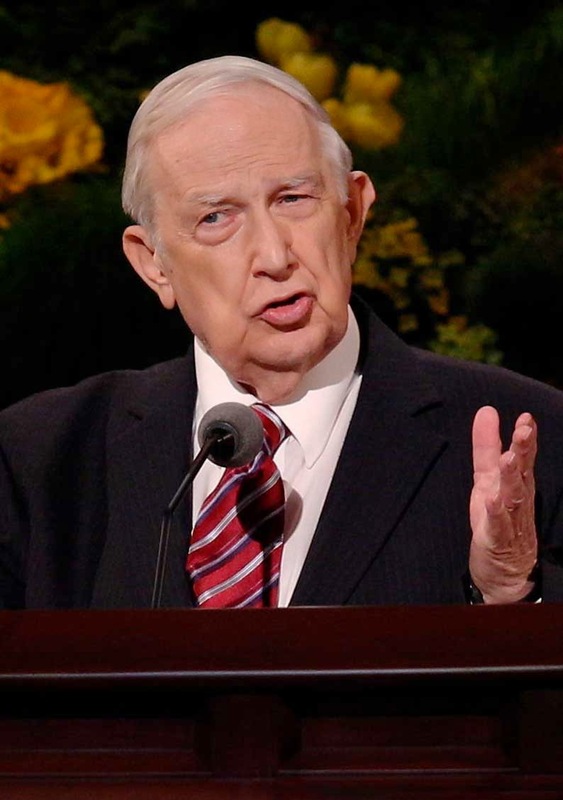 "When you focus your life on the basic principles of the plan of salvation, you will better concentrate on sharing what you know because you understand the eternal importance of the ordinances of the gospel. You will share what you know in a way that encourages your friends to want to be strengthened spiritually. You will help your loved ones want to commit to obey all of His commandments and take upon themselves the name of Jesus Christ." One of the great challenges of mortality is to develop and then and maintain appropriate focus on the things that truly matter most. 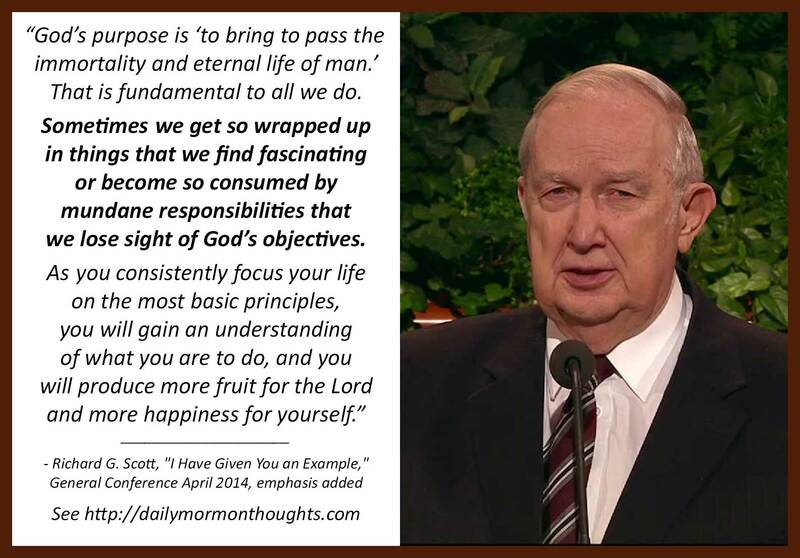 Elder Scott identifies some of the problems we confront, as we "get so wrapped up" in either our "mundane responsibilities" or in the other, less important, "things that we find fascinating." The challenge then is to focus on "basic principles" in order to preserve appropriate priorities in our lives. 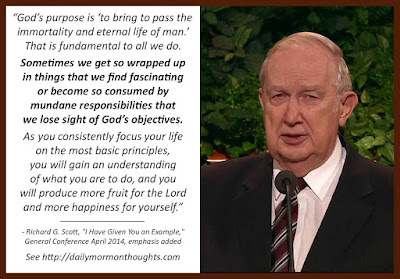 It's easy to think that more advanced or sophisticated activities might be more valuable or beneficial; that's a trap that can lead us directly to the dangers Elder Scott is warning of. Labels: choices, priorities, purpose, Scott Richard G.